2 centre backs + 1 midfielder. 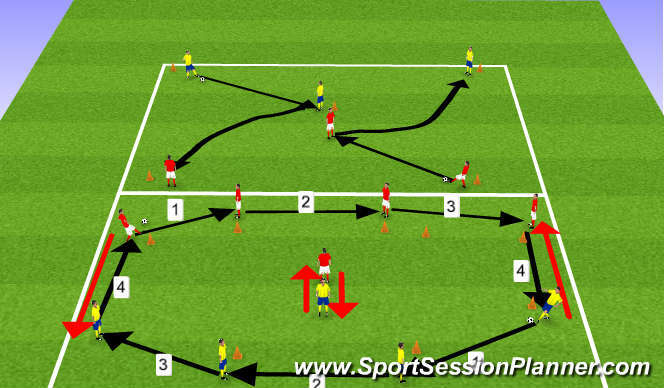 2 centre backs pass and then play to midfielder who plays round the corner. Back four + 2 midfield. 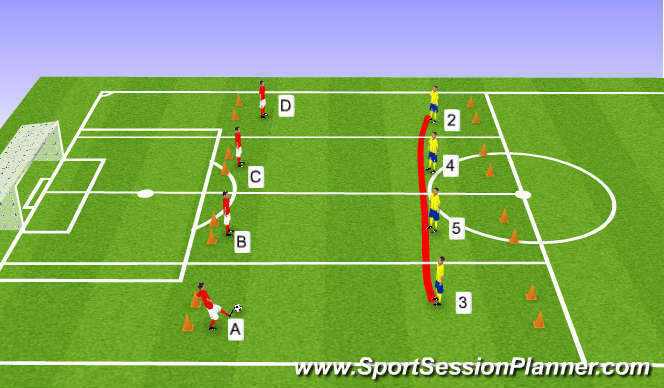 2 balls-switch the ball around the back.Receiving skills and dropping off. Midfielders play and change places. 2 full backs drive forward when they receive the ball and swap places. 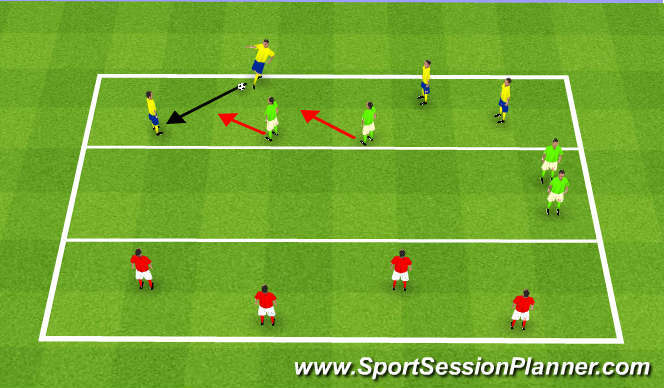 Each player is restricted to their own area.Player with the ball can move out of his area. Focus on holding position and shape of back four. Man to man so no restrictions but now look at communication and closing down. 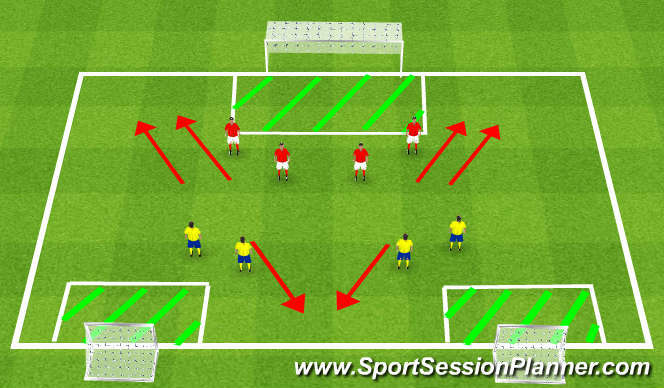 4 v 2 team has to make 5 passes and then transfer to the other side. Coach the two defenders to work together and be clever when closing down. Players can not go in the areas shaded in. One team will show inside to direct opposition away from the goal and one team will show outside to direct opposition away from the goal.